Happy Tuesday Friends! If you’ve been following along you probably know that farmhouse style is my forte! It has all the charm and vintage perfection that I just adore. Am I the only one that stops to stare at a gorgeous farmhouse nestled along side a beautiful green field and pin farmhouses constantly on Pinterest? 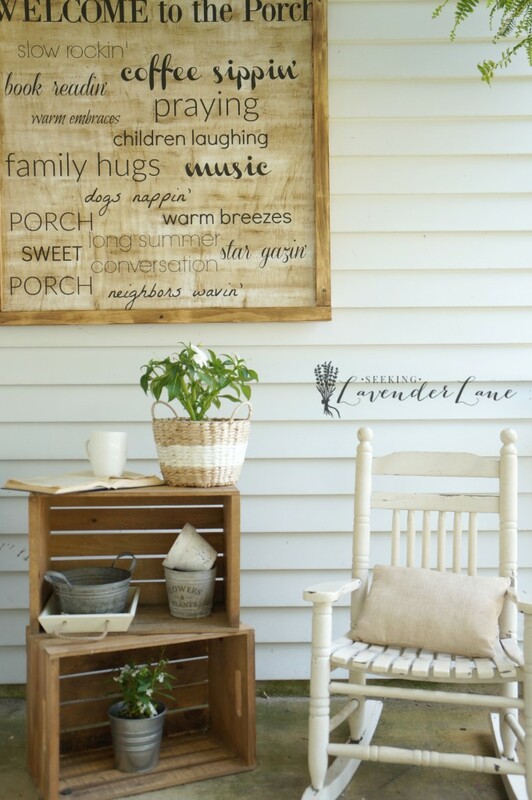 Okay…so you have the farmhouse craze too! So, now how do we achieve that on our own homes? Well, every post here should help you find ways to get that charm inside your home, including shiplap walls, farmhouse cabinet makeover, and DIY barn doors. 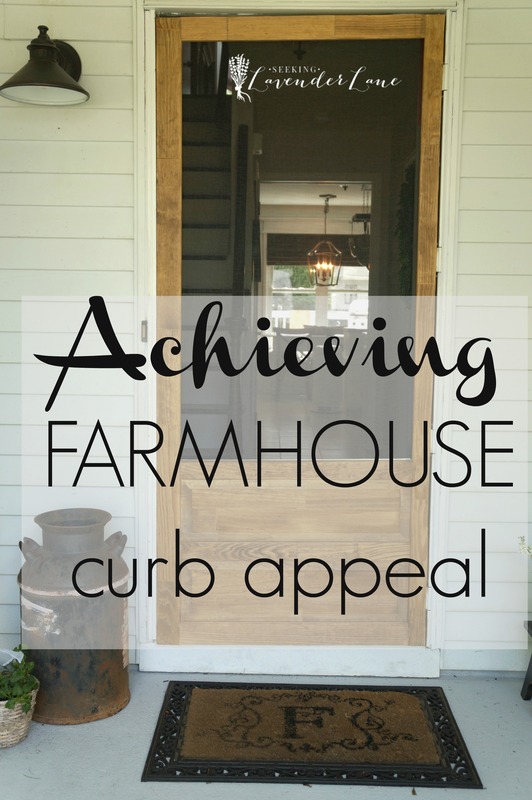 Today I am sharing how to update your curb appeal with front yard landscaping ideas with farmhouse charm. It’s all about taking your cookie cutter suburban house to the next level. I mean we can’t all have a true farmhouse home, right? So, let’s accomplish living the American dream without leaving our neighborhoods. I want to help everyone achieve farmhouse curb appeal with these front yard landscaping ideas. What? that’s it!? no of course not, but it’s a start, and my white-sided black shutter colonial style home was feeling close to that farmhouse charm, but with my new door it finally feels more like a vintage farmhouse than a cookie cutter 1980’s colonial. So, who does the farmhouse door right? Joanna Gaines of course! 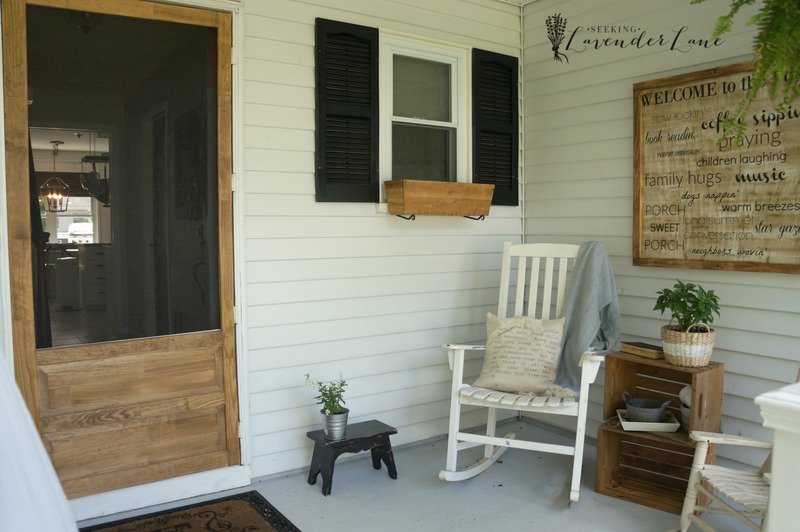 Let’s take a look at all the doors that Joanna has used on her fixer upper’s that have increased the front yard landscaping ideas with farmhouse charm. So now that you got the point, these homes all have stunning doors. Character, warm wood tones, large sized pane windows, and/or a cute screen door for your dog to harass the neighbors through (haha or maybe just my dog). 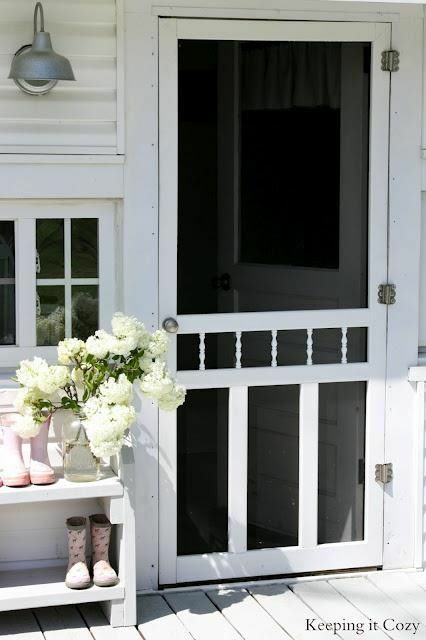 So this had me going crazy…I wanted to do a door so bad and of course on the top of my list was the French door. It adds the perfect amount of charm and light into the home, along with a warm colored stain to add warmth to the white siding. 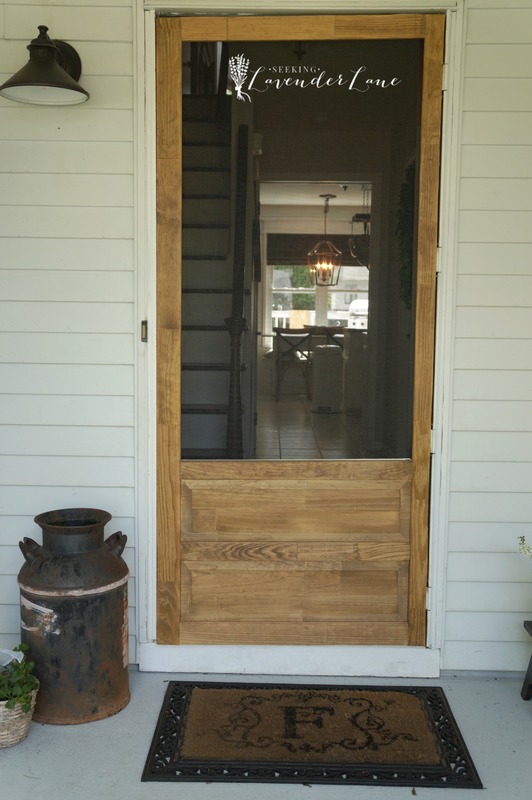 I also love painted french doors, but for my home, a stained door seemed like the answer. 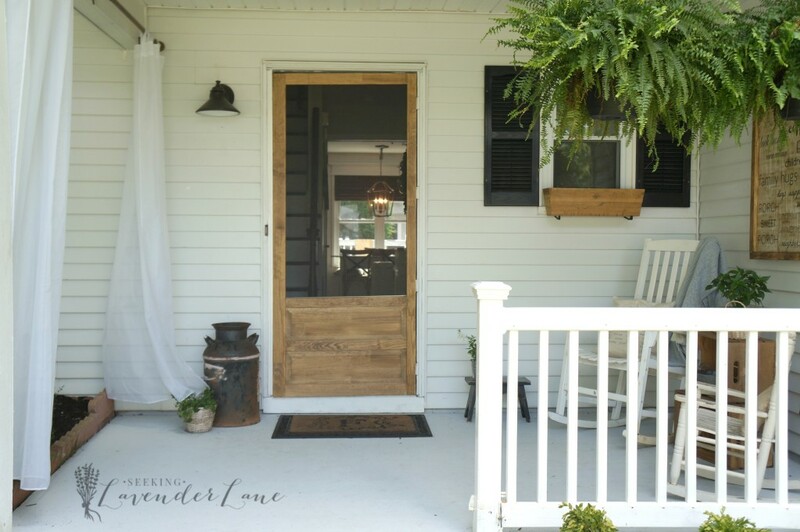 So, I had mentioned a few times during my curb appeal blog hop challenge that we were looking into adding a door and couldn’t wait to share all the details with you all for some more front yard landscaping ideas. 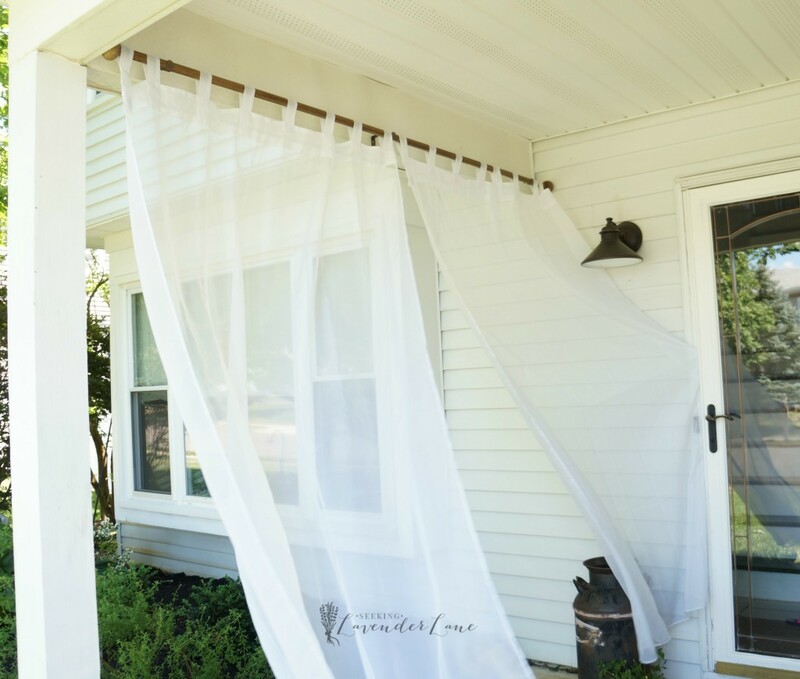 After a back and forth debate about splurging on one and figuring out how to DIY the installation, we decided to go a different route and go with a screen door. 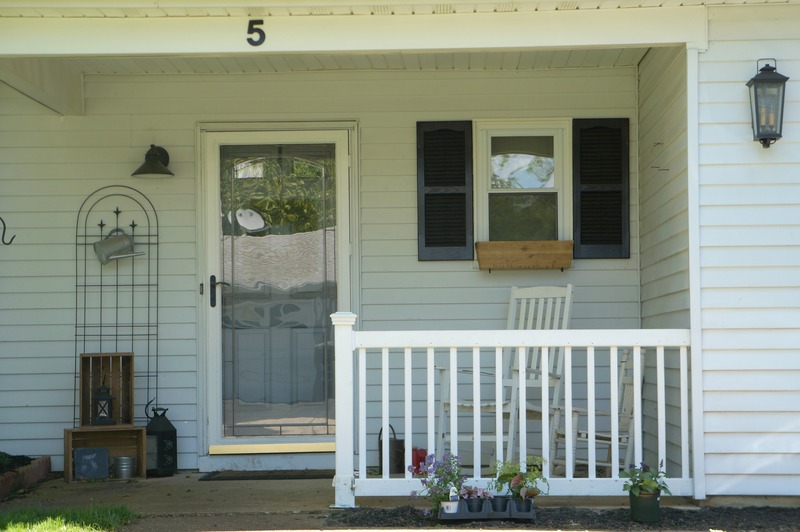 For us, since we are still young homeowners with a family we just couldn’t drop that kind of dough, but that doesn’t mean one day I won’t, and of course, I had to figure out a solution to the 90’s storm door ugliness. So I kept at it! and before you know it the slow motion love music came on at the local home depot when I laid eyes on my future door….screen door! So here’s what the door and porch looked like today, oh and we stained the concrete too which I am LOVING! 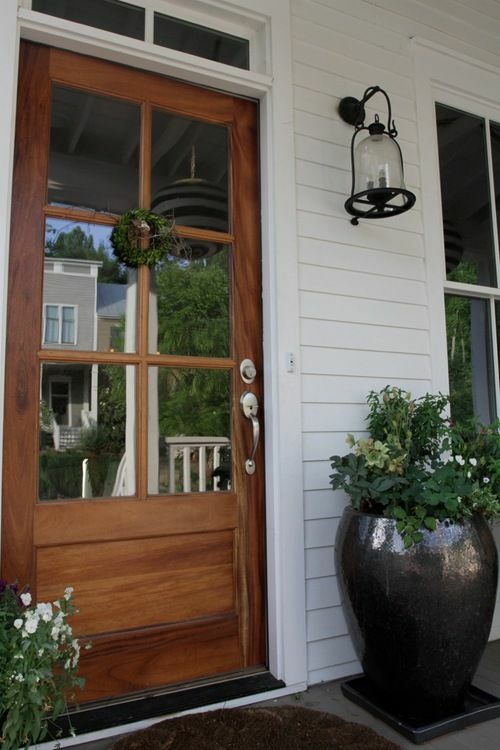 Now, for all of you that are wanting some farmhouse curb appeal, that doesn’t need to go the DIY route, be sure to find a gorgeous door that your family will love and so will you neighbors. 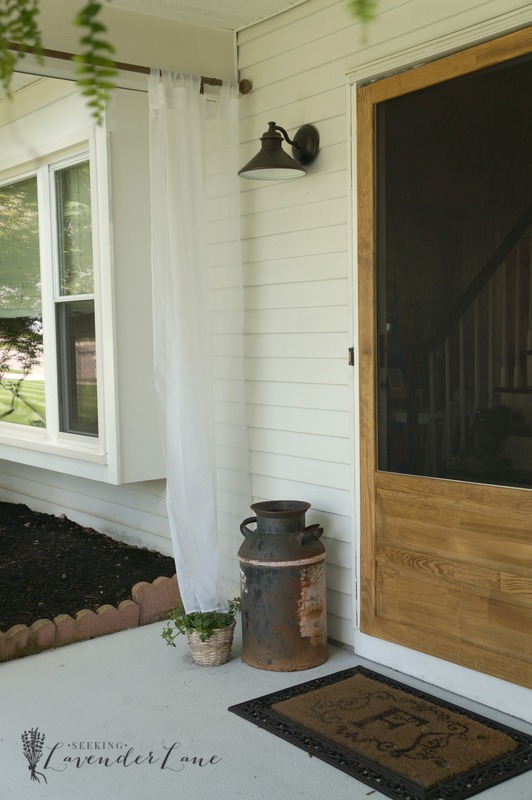 Pair a warm-toned wooden french door with your house, or even find one that you can paint to your color of choice. Find something that has a vintage flare but is solid and practical. Be sure to especially hire a professional that will be able to get the job done; Contractor Connection has all the right contractors for the job. Find one that’s reliable and one that you can keep coming back for more of those must have home projects. This is a project you don’t want just anyone doing, so be sure to find someone that will get the job done right! This post was sponsored by Contractor Connection, with hopes to help you get your home projects done the right way. Oh I love it. Amazing at what a difference a door makes. Thank you Marty! Yes, for sure! We are so pleased with how it turned out. Beautiful!!!! Deb your door is Farmhouse style for sure. I am loving the cute little tudor too. 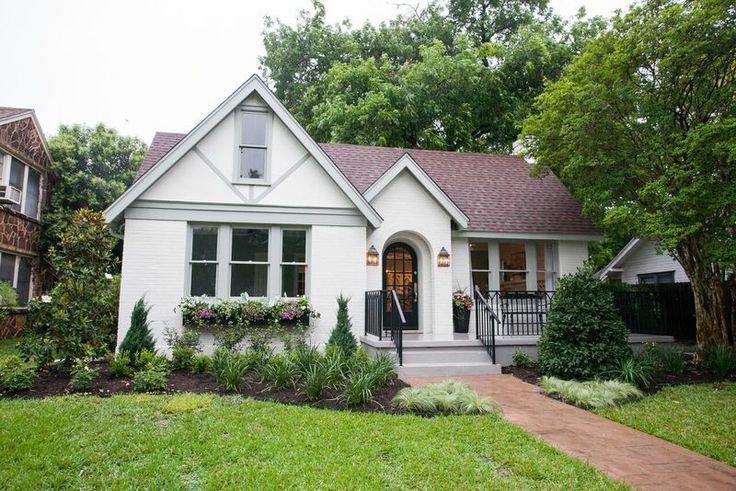 It looks like an adorable cottage. Hi, Love your screened front door! Did you say you found this one at Home Depot? Hi Gracie, yes I did! It’s not the best quality, but it was cheap and looks great! Love it! What color and brand stain did you use?